Cathay Pacific will be upgrading its in-flight product on their Mumbai and Dubai flights from Oct 1st 2008. Currently, HKG-BKK-BOM-DXB and HKG-BOM-DXB is flown using a 2 class Boeing 777-300A, however effective October, it will deploy the Boeing 747-400 on both routes which will have the new First and Business class cabin (74A). CX will therefore become the only airline flying a Boeing 747 between BOM & DXB and as a result of it will offer the most luxurious on board product in the F & J class cabins on this lucrative high yielding route. An excellent move by CX to deploy their B 744s with the new J & F class in-flight product on the BKK-BOM and BOM-DXB routes. It will definitely result in a few EK J & F class O&D passengers switching airlines as CX's in-flight product offering in these premium cabins is far superior to EK/AI on the BOM-DXB-BOM route in particular. Jet Airways of India has decided upon making MXP-Milan, Italy its second international long haul scissors hub similar to the one it currently operates at BRU-Brussels. 9W wants to use MXP's business potential on strong O&D routes to USA as AZ has suspended a majority of its MXP-USA routes due to shifting its hub back to FCO-Rome. 9W says that from 2009, it will fly via MXP to North America and is looking at nonstop flights to YVR and LAX from MXP. All MXP flights though are to originate from HYD/BLR/CCU & AMD. *Basically the incoming plane from BOM will be used for HKG-DEL. This is an interesting strategic move undertaken by 9W by wanting to make MXP a scissors hub for its expansion to USA. Obviously, the Italian Govt and MXP Airport Officials must have played a key role by offering all sorts of incentives for 9W to undertake such an investment after witnessing the de-hubbing of Alitalia at MXP. Northern Italy, is the business, financial and commercial core of Italy and MXP is the gateway airport into this region thus having huge amounts of high yielding J class traffic. 9W definitely seems to have realized this and AZ pulling out also helped sway this decision of theirs in favor of it. However, what 9W should not do is to fly from AMD via MXP to USA because for AMD, flights need to be routed via BRU as the state of Gujarat, India is the world's 3rd largest diamond production, manufacturing area with heaps loads of business bound for Belgium year round. There is hardly any traffic from AMD bound for Italy! Also via MXP, 9W should first target cities not flown nonstop to USA by the American carriers and AZ alike which have good amount of O&D demand. This should be done as it would provide 9W with a monopoly stranglehold which in turn would allow it to dictate prices especially in the high yielding J class cabin. Routings that come to mind are MXP-IAD daily A 332, MXP-IAH and MXP-ORD. ORD - increased from 3 to 5 weekly flights using an A 343. JFK - 8th weekly flight will be flown using an A 343. KWI - increased from 4 weekly to daily B 738s. KIX - 3rd weekly flight to be added; all using an A 343. ICN - 4th weekly flight to be added; using an A 343. AMS - capacity increased to daily A 332 + double daily B 738s. Virgin Atlantic has announced that it will be starting a 2nd daily service to IAD-Washington DC flown nonstop from its LHR base effective April 20th 2008. VS will use the Airbus A 340-600 for this new flight. 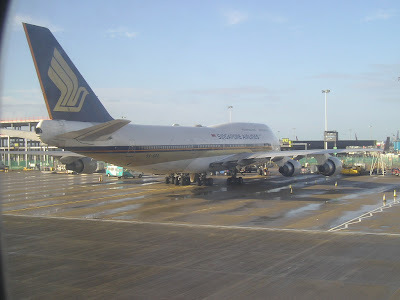 Currently, it operates a daily A 343 on the LHR-IAD sector. China Southern Airlines of Guangzhou has officially confirmed that they will be reducing capacity to DXB-Dubai from June 30th 2008 by downgrading the CAN-DXB route from a daily B 777-200A to a daily A 330-200. Avianca of Colombia will be launching a second daily flight to JFK from 16th May onwards on a permanent basis. The new daily flight will be flown by a Boeing 757-200 where as the current daily service uses a Boeing 767-300ER. Besides JFK, the airline also will inaugurate new nonstop flights to IAD-Washington DC from its Bogota hub using a B 757-200 five times a week effective June 13th 08. Asiana Airlines of South Korea has revealed that for the summer peak season only, it will be doubling its operations to TAS-Tashkent, Uzbekistan. All flights will be flown nonstop from its ICN-Seoul hub. Services will be flown 4 times a week between July and September using a B 763ER twice a week and a B 772ER twice a week as well. EL AL of Israel has disclosed that it plans on upgrading capacity and its in-flight product on its popular long haul route from TLV to Bangkok from the on set of the Winter 2008-09 timetable. From Oct 27th onwards, LY plans on deploying the Boeing 747-400 for a total of 6 times a week. DEL - increased from 4 times per week to daily. JAI - increased from 4 to 6 times a week. BOM - increased from 10 per week to double daily. LKO - increased from 4 times a week to daily. CCJ - to be launched on a daily basis using a B 738 effective June 5th. Singapore Airlines has officially confirmed that it will be suspending its 4 weekly LAX via TPE flights flown by a B 772ER effective October 2008. It will also be suspending daily BKK-KIX flights from mid May onwards. However, BKK as a station will be seeing increased service by having 41 flights a week flown to the city nonstop from SIN effective May 2008. The break up is triple daily B 773As + 20 weekly B 772As. Virgin Blue of Australia's long haul sister company i.e. V Australia has revealed to the media that its inaugural long haul flight will be launched from SYD to LAX effective Dec 1st on a daily basis using a Boeing 777-300ER seating approximately 380 passengers in a J, Y+ and Y class layout. Boeing and Iraqi Airways have officially signed an agreement in Baghdad last week for the purchase of 30 Boeing 737NGs and 10 Boeing 787s with options for 10 additional 737s and five 787s.